Full color US American flag patch with hook back to attach to ACU/UCP or OCP uniforms. Reverse flag to be worn on the right shoulder. U.S. 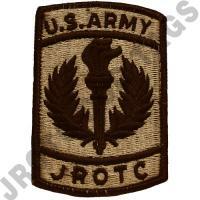 Flag patch used by JROTC, ROTC, and Active Duty units. White Participant Physical Fitness sew on patch.